Here is the period from the Restoration of Charles II in 1660 to the Revolution of 1688 and the Convention Parliament which followed it. These three volumes cover the period of constitutional reconstruction after the Interregnum and the political crises of the 1670s and early 1680s. 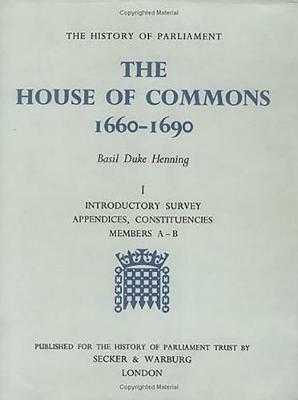 The three volumes contain 2,040 biographical articles and 269 constituency articles. An Introductory Essay by Basil Duke Henning analyses information about the age, education, social background of the Members and their residential and electoral relationship with their constituencies. Questions concerning how far non-political factors influenced a Member's party political alignment are also examined.